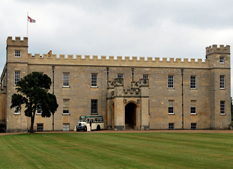 Belonging to the Duke of Northumberland, Syon House lies at the heart of a 200 acre park in West London. Dating back to the late 17th century, Syon house was an abbey before it was converted to a house. It came into the ownership of the Percy family in 18th century and features some of the greatest rooms designed by Robert Adam. 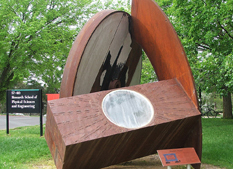 It was opened to the public in 1951. 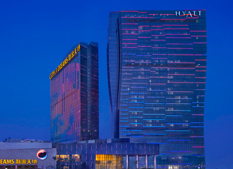 The Grand Hyatt comprises two wave-inspired towers within the City of Dreams, an aquatic themed integrated entertainment resort located on Cotai. Just a 45 minute ferry ride from Hong Kong international airport and 1 hour from Hong Kong itself, the hotel has 791 rooms. Situated just two miles south of Rotherham, this flagship hospital was awarded Foundation Trust status in 2005, and is an associate teaching hospital of the University of Sheffield. The main site of the trust is Rotherham Hospital but it also operates from other sites around the town, including a walk-in centre and an immediate care centre. The Princess Alexandra Hospital NHS Trust serves the communities of Harlow and the surrounding areas from the Princess Alexandra Hospital in Harlow. 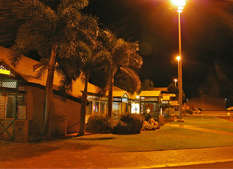 It offers many services including an A & E department, audiology, midwifery and cancer services. The Arkwright Ward at the hospital was used in the hospital scene in Stanley Kubrick’s film, A Clockwork Orange. 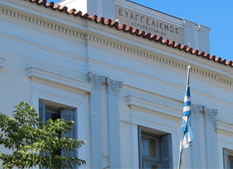 The Evangelismos Hospital in Athens was established in 1872 as a training institution for nurses. 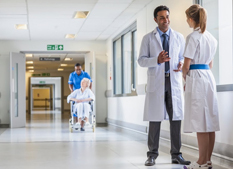 It is now the largest general hospital in Greece with 1,100 beds. 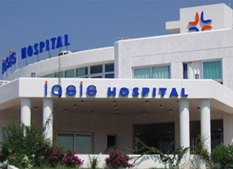 Located in Cyprus, the hospital provides many treatments to the surrounding area of Paphos, including Cancer Therapy, Neurology and Ophthalmology. It also specializes in other treatments including Endoscopic Banding, Ligament Reconstruction and Bone Spur Treatment. 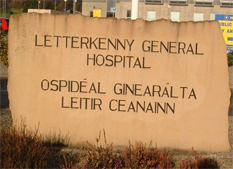 Letterkenny General Hospital is an acute general and maternity hospital serving 147,000 inhabitants of County Donegal in Ireland.